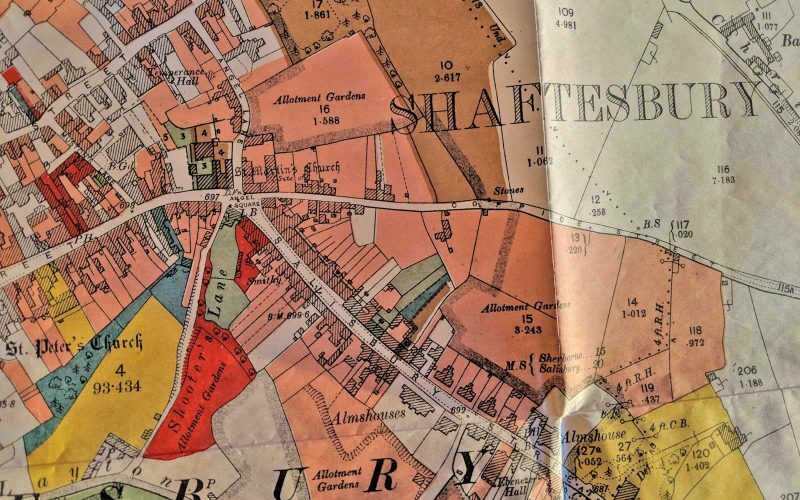 May 2019 marks the centenary of the Sale of Shaftesbury. In fact, most of the properties in the town were sold three times between September 1918 and May 1919, as Matthew Tagney shows in a fascinating new exhibition in the Small Exhibition Room. Hugh Grosvenor, second Baron Stalbridge, wrote to his tenants in February 1918 that “owing to the heavy death duties payable on my succession to the property … I am compelled to sell a large portion of my estates.” In the first instance this portion was bought by a speculator, James White, who very quickly sold to a Syndicate of three local men, including the current and a former Mayor. The exhibition shows how many of the open spaces enjoyed by modern Shastonians were preserved by generous decisions made by Dr Harris, Alderman Borley and Mr Herbert Viney. Other public amenities still in use were campaigned for, and won, by the Welfare Association founded after the Sale. 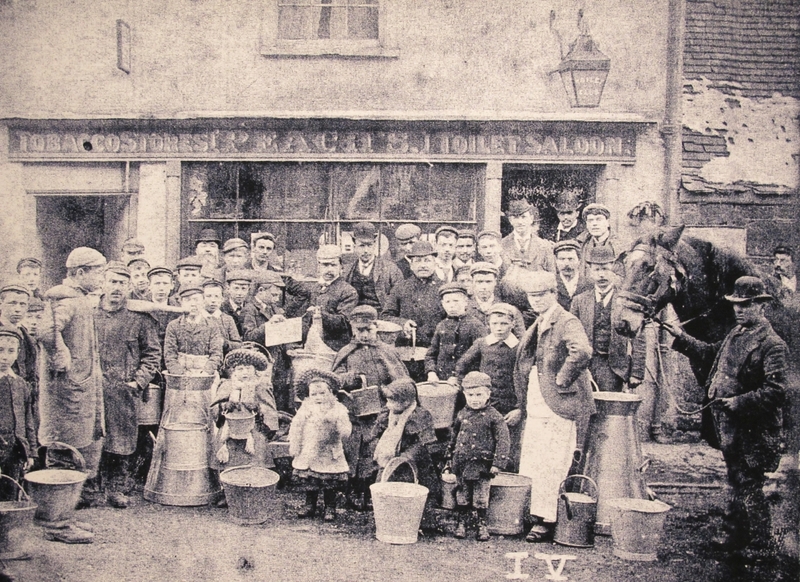 “The deficiency of water is a fruitful source of evil to the poor in Shaftesbury” wrote Turbulent Quaker, John Rutter, in 1849. In the Large Exhibition Room Janet Swiss has taken a long chronological look at the intriguing story of Water and Wells in Shaftesbury. This features the Byzant Ceremony but also less well-known episodes such as the Grosvenor-funded building of the Waterworks at Barton Hill (where the Swimming Pool uses part of the old pumping system) and the Great Freeze of 1895 when the only unfrozen tap in the centre of town was made freely available to fellow Shastonians by Mr J.T. Peach. Janet hopes locals will be able to add details and dots to the map of otherwise forgotten wells and cisterns. Tisbury History Society also provides an interesting programme of lectures in the Hinton Hall, Tisbury at 7.30p.m. on the second Tuesday of the month.